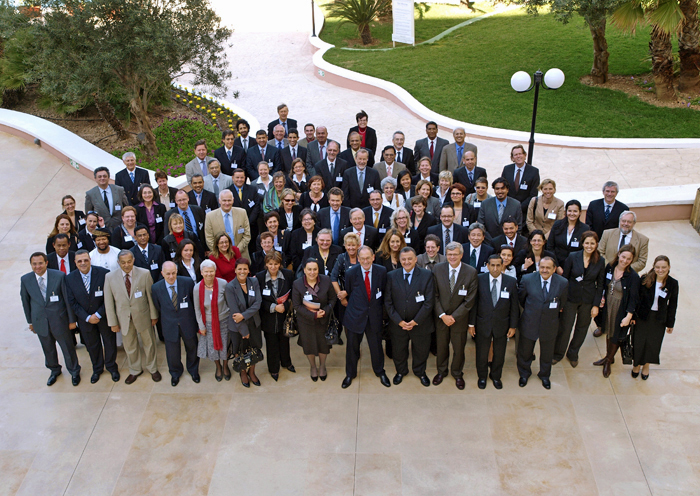 The Conference continued the process of dialogue that began with the first (14-17 March 2004) and second (19-22 March 2006) Malta Conferences, which resulted in the Conclusions and Recommendations contained in the "Malta Declaration". The discussion focussed again on how best to secure continuing contact between children and parents who live in different countries, as well as on the problems posed by parental abductions between the countries concerned. cross-border recovery of child support (maintenance). In addition, the Conference continued to identify and elaborate the building blocks for the development of a legal structure that will provide a firm basis for judicial co-operation and provide parents with a secure international framework within which to resolve their differences. This will include consideration of relevant Hague Conventions, in particular the Convention of 19 October 1996 on Jurisdiction, Applicable Law, Recognition, Enforcement and Co-operation in respect of Parental Responsibility and Measures for the Protection of Children, as well as bilateral and possibly regional initiatives. Participating countries: Australia, Bangladesh, Belgium, Canada, Egypt, France, Germany, India, Israel, Jordan, Malaysia, Malta, Morocco, Netherlands, Oman, Pakistan, Qatar, Spain, Sweden, Switzerland, Tunisia, Turkey, the United Kingdom and the United States of America. The Declaration of this Third Judicial Conference is available in the following languages: Arabic | English | French.